In order to boost the quality of writing on the Nemesis Bird, and to further increase the number of posts and the awesome pictures that come with it, I have asked Alex Lamoreaux to join the writing staff. So now there are two of us. I will let him more fully introduce himself, but I think his passion for birding, hawkwatching, bird identification and field ornithology will add a lot to this blog. Hello! I am very honored to have been asked to contibute to Nemesis Bird and I hope my posts and photographs will help you enjoy this site even more. I have been deeply interested in wildlife since I was a little kid, and my love (or obsession) for birds began when my family moved to the Hershey, Pennsylvania area and I saw and identified my first Red-tailed Hawk. Raptors are what really sparked my interest and I really owe where I am now to one particular species or raptor, the Northern Saw-whet Owl. When I was 8 years old I was invited by Scott Weidensaul to visit his NSWO banding station at Hidden Valley Golf Course. The next year I was a weekly volunteer, helping remove owls from nets. Banding NSWO’s every fall really kept my love for birds alive through my Middle School years and by the time I was in High School and could drive, I was going all over PA and the Northeast searching for lifers. This fall is now my 11th season banding NSWO’s. Little did I know that that little owl would reshape my life, sending me to all corners of the United States and even Central America and Southern Africa, and ultimately making me want to dedicate the rest of my life to avian research. Like I mentioned, raptors are my favorite group of birds and they really got me into birding and wanting to be a field ornithologist, but like most birders any species from any genera of birds is fascinating to me. I have been lucky to have worked or volunteered on many awesome projects such as a volunteer for the Ned Smith Center’s NSWO project (11 years), volunteer Mourning Dove bander for the Dauphin County area for the PAGC (2 years), and Hawk Counter at the Tuscarora Summit Hawk Watch for Fall 2008 and 2009 to name a few. This past spring I worked as a field technician capturing and tagging Whimbrel on the Eastern Shore of Virginia. This project was run by the College of William & Mary and the Center for Conservation Biology. The purpose of this project was to attach 9.5 gram satellite transmitters onto the backs of the largest Whimbrel we could capture. 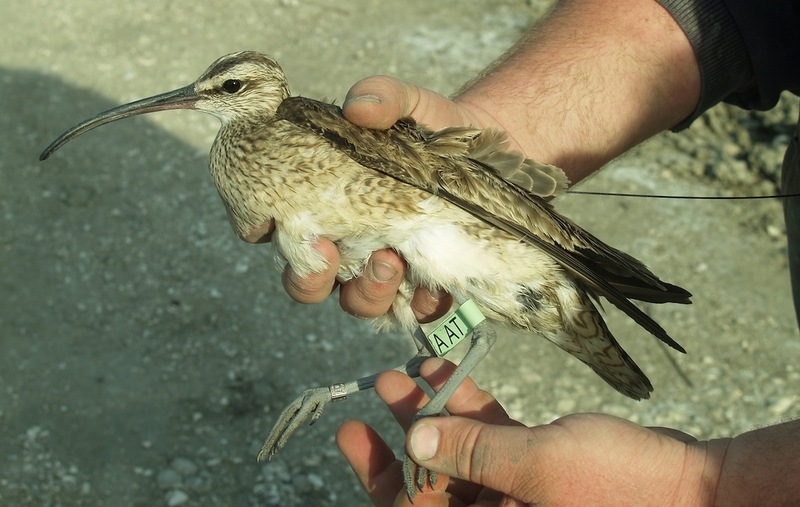 The goal was to hopefully have the Whimbrel we tagged fly to the McKenzie River Delta area of Alaska and prove that the western subspecies of the Whimbrel is using the Eastern Shore of Virginia as a staging ground on their migration alongside the eastern subspecies. 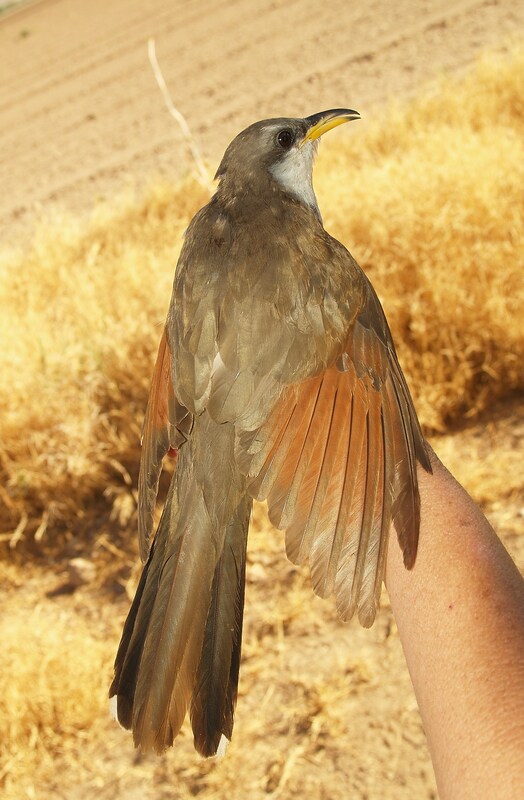 For the summer, I worked for the Southern Sierra Research Station surveying for and capturing the endangered western subspecies of the Yellow-billed Cuckoo. I was stationed along the Lower Colorado River. Man-made riparian areas have been established along the river and the cuckoos prefer these sites for nesting. Our goal was to survey for cuckoos using playback methods, and then trap the cuckoo, place a radio transmitter on its back and then track them to their nest. We had a successful season and found many nests that produced healthy chicks. I have been keeping my own blog (link) for over a year now and I invite you to check that site out to get to know me a little better. Also I keep photo albums from my birding adventures on Picasa at this link. I hope my photographs and posts in combination with Drew’s can really make this a great site and resource for birders. All the photos on this post were taken by Alex Lamoreaux.